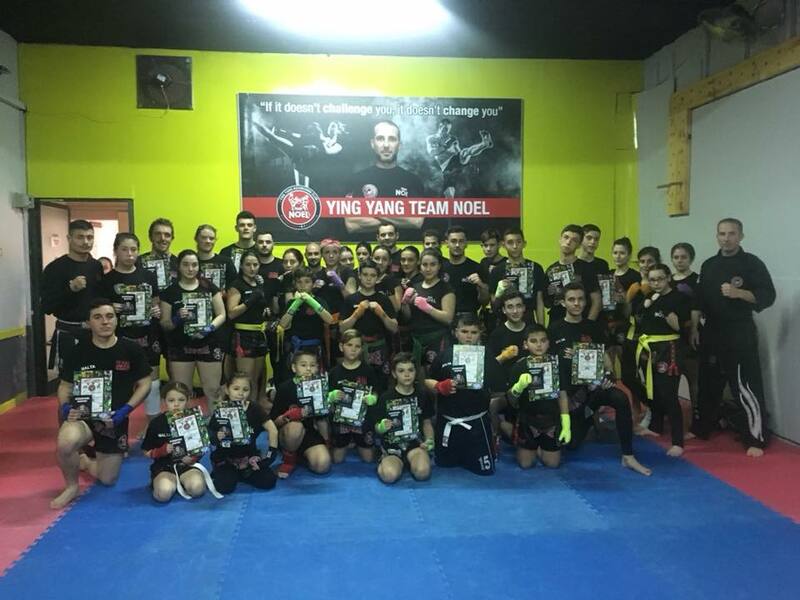 A total of 38 athletes obtained a higher grade during a kickboxing exam which was held under the auspices of the World Kickboxing Network (WKN) on Sunday 4th February. The majority of the athletes train at Ying Yang Club-Team Noel. They were joined by three other athletes from The New Kickboxing Club and Demis Kickboxing Club, wherein an athlete from the latter obtained a 2nd Dan Black Belt. The exam, which was held at the Ying Yang Club in Fgura, was conducted by Kancho Adrian Axisa. In all there were 18 athletes who obtained a yellow belt, 8 an orange belt, 7 a green belt, 3 a blue belt, 1 a violet belt, and another one a black belt.